An AQI reading of 35 to 70 should force most people to consider staying indoors. An AQI of 150 is considered "unhealthy" and 200 "very unhealthy." "Once you get to 150, that's mask-wearing stuff," said Stanley Young, spokesman for the California Air Resources Board, the state agencies that measure pollution. The damaging particulates measured by AQI are so small, they can get past a human being's natural filters and infiltrate the lungs, possibly causing long-term heart and breathing issues, according to the Environmental Protection Agency. These poor conditions even forced postponement of Saturday's "Big Game," the annual football meeting between arch rivals UC-Berkeley and Stanford. The game has been rescheduled for Dec. 1 at Cal Memorial Stadium. Cal Athletic Director Jim Knowlton said in a prepared statement that, "we made the decision to postpone for the health and safety of our student-athletes, coaches, gameday staff, students, band and spirit groups, alumni and fans." Officials at major Bay Area hospitals like San Francisco General Hospital and UCSF and Oakland Medical Centers said Friday they hadn't seen an immediate boost in patients suffering breathing issues. But they urged Bay Area residents to stay indoors in possible. "It's unbreathable when you're walking outside," said Kristen Bole, a spokeswoman for UCSF Medical Center. "We're walking around with masks right now." "Everyone is staying indoors and the people who are outside are wearing masks of one kind of another. It’s totally weird to see. This is a creepy feeling." 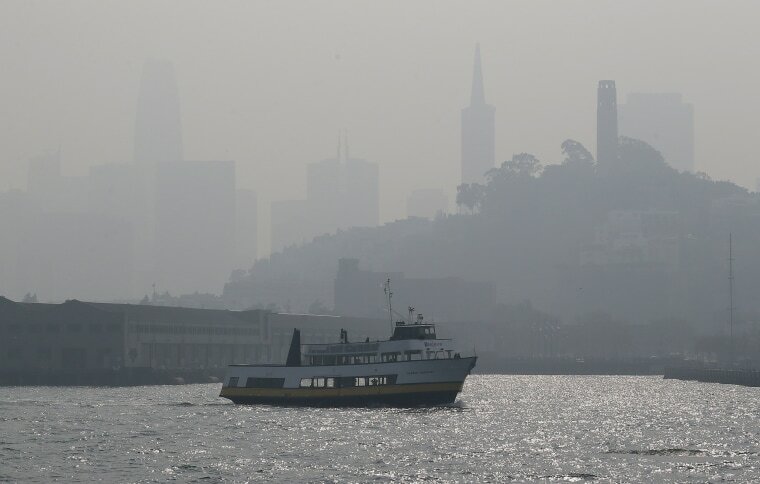 “We’ll find out in the future, but based on what we know about air pollution, we would expect to see this level to be associated with a rise in cardiopulmonary mortality," said Balmes, who teaches at UC-Berkeley and UCSF and practices at San Francisco General. "There will be a significant spike," he said.